The challenge of the 21st century goes beyond the development of skills, it is the transformation of the social role of each of us in our living environments. To excel in the development of system of recognition of the professional and social skills of people in lifelong learning perspective. Accompany organizations in the creation of learning opportunities and the implementation of digital badge systems for motivation, recognition and certification. I have over 10 years’ experience as a consultant, researcher and trainer in digital solutions. I’m specializes in instructional design, education technology and digital badge system (#Openbadges) in skills, digital and uses collaborative technologies. I’m passionate about open innovation strategies (communities of practice, Living Lab, Fab Lab) and lifelong learning (digital literacy). 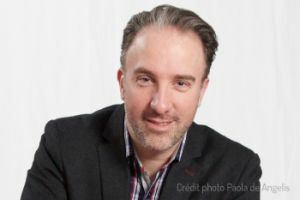 I’m vice-president of the association Communautique, a hub for open innovation in Montreal, Quebec, Canada, dedicated to learning, collaboration, research, and experimentation in social and technological innovation.